Damien Hirst has surprised the art world again by announcing that he will reignite his relationship with Parisian gallerist, Emmanuel Perrotin, who in 1991, was one of the first two dealers to exhibit the artist. Perrotin considers Hirst to be an old friend and claims to be the only dealer to never profit from Hirst’s stardom. 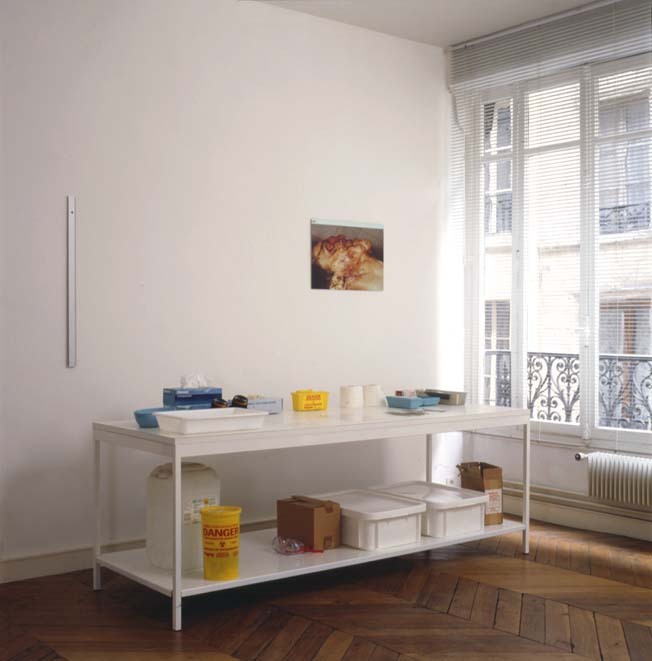 It is too early to tell, but it is suggested that a solo exhibition will be scheduled for 2010, but neither Hirst nor Perrotin have indicated if this is the beginning of a longer lasting artist-dealer relationship. Perrotin and Hirst’s partnership comes after Hirst’s infamous Sotheby’s auction, “Beautiful Inside My Head Forever,” in which noted art critic Robert Hughes accused Hirst of cutting dealers out of the action. “Everyone has written that Hirst wanted to bite the hand that fed him,” says Perrotin. “But there’s a difference between asserting independence and turning your back on dealers.” Whether Hirst is playing a well-calculated ironic card out of his ever-evolving deck or simply scratching the back that once scratched his own is still to be seen.